Academy Martial Arts is a diverse full fitness Martial Arts Gym. Kickboxing classes are beginner friendly and designed for everyday people wanting a new way to get in shape. We welcome all ages, shapes and sizes; from middle aged professionals needing to shed a few pounds, to college students toning up for the summer, to seniors just looking to stay active. Offering courses in Muay Thai, BJJ, Judo, and Karate as well as fitness Kickboxing. We are a BNB certified Boxing gym, a MTF certified Muay Thai gym, and a Team Vaghi affiliate. Offering Kickboxing, Muay Thai, Brazilian Jiu Jitsu, Judo, and Karate. Programs for adults and kids. Would you like more information on hours, classes and programs available at Academy Kickboxing? Please contact the school with your questions. Update the details, Write a Review or Report Error of Academy Kickboxing. View all Dojo in New London or in Zip code 54961. This Chart shows the Martial Arts Styles offered most in New London, Wisconsin area. 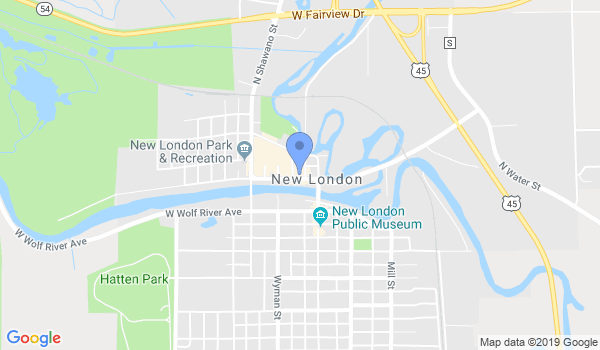 View a list of Dojo in New London, or enter your address below to find schools closest to you.